DStv Now is a service from multichoice which is the parent company of DStv. DStv Now App enables you to watch your favorite TV shows, Programs, football highlights from your smartphone or PCs. However, this update is available for only DStv Premium, Compact Plus and Compact customers for now. With DSTv Now, you can download movies or favorite program from DStv and watch it offline. You can get access to this platform from only 4 device connected to one DSTv account. How Do I Active DSTv Now? To gain access to DSTv Now first you have to make sure you have an active data subscription on your DSTv premium, Compact Plus or Compact account. Then download the DSTv Now App on your phone or use their website at https://now.dstv.com to use your DSTv account. Download DSTV Now App for iOS Here. Download DSTV Now App for Android Here. DSTv Now App does not support PC for the main time but you can visit now.dstv.com, which uses HTML 5 video player instead of a flash player for live TV channels, online series and movies on Catch Up. As we said earlier, DSTv Now allows their subscribers to download movies and watch offline. Select shows are available for download via Catch Up. Any downloaded movie, stay just 2-days before they are permanently removed from the DSTV Now service. Here is how to download your favorite movies / series. There you can easily filter shows that can be downloaded, streamed or both etc. Have it in mind, that there is no pause button, but amazingly, when the service is fluctuating, you can easily resume your downloads. All subscribers are limited to 25 offline downloads across all devices. Also understand that when downloading your show, you are limited to only one video qualities. Meanwhile, this is much different from when you are streaming, as you can easily set the video quality. To enjoy your paid subscriptions, you can easily link your DSTv Smart card to DSTv Now and watch your favorite shows. 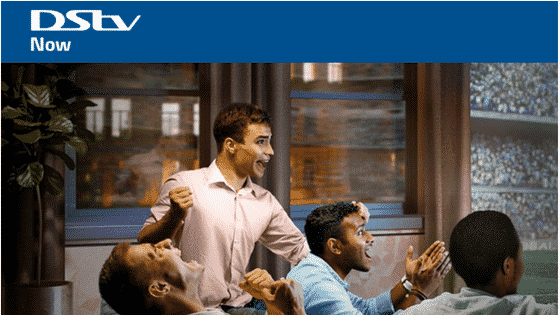 Live TV Streaming lets you watch and stream a selection of the best DStv channels on DStv Now. All you need to do is to open the app or log on to the site and enjoy your channels when you want. Just as the name suggests, this lets you catch up on all the contents you’ve missed or will be missing. You will be able to download these contents and watch them when you’re less busy at your own convenient time as well.